You’re walking out the door. You do that mental check you do every time. Do you have your keys, your phone, your wallet or purse? You might check for your Travel card, a snack, or for your compact – the things that get you about your day. These are the basics, but especially during the summer months there’s something you might forget: sunscreen. Why is it so important, and why should you prefer a higher SPF? Sunscreen blocks harmful ultraviolet rays that come from sunlight. This doesn’t mean sunlight is harmful – we get that question sometimes. Sunlight is actually terrific for your body. It helps you produce Vitamin D, which is crucial for almost every facet of your health. It also has a profound psychological effect, and can help your mood and sleep patterns. However, there are UV rays in sunlight that its important to protect your body from. These UV rays are a factor in types of cancer. This is where sunscreen comes in. SPF stands for Sun Protection Factor. Not only can it block harmful UV rays, it can also prevent you from getting sunburn. SPF ranges from as little as 2 to as much as 70. What does this mean? If you burn in the sun after 10 minutes unprotected, an SPF of 15 may suit you for about 150 minutes (2 hours, 30 minutes). It doesn’t hurt to over-estimate your need. There’s no harm in using sunscreen with a higher SPF than you might need. If you expect to be outside for several hours at a time this summer, apply sunscreen to any areas that will see significant sunlight. An SPF 50 is generally regarded as a good, all-around solution for a day out in the sun. Sunscreen can wash off in a pool, so re-apply when you get out – especially if you plan to tan. You can go with something lower if you’re only outside for a half hour at a time or so. UV rays are still harmful during the winter, we just don’t typically spend as much time outside during the colder months. In fact, bright snow can reflect UV rays and amplify your exposure to them. For this reason, if you’re outside for a long time during the winter it’s important to use sunscreen with a high SPF. 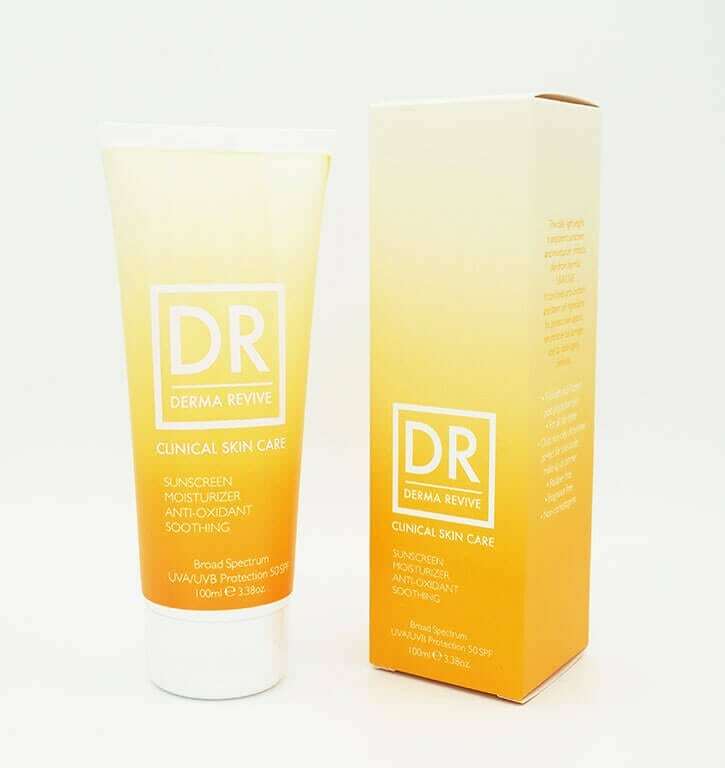 To find out more about the different SPFs we stock at, including our best seller Derma Revive SPF 50, pop into your local Premier Laser & Skin!